We headed out yesterday to walk the cliffs. The blustery freezing rain prevented us from getting to do so. But a wonderful road trip was had! We got home and chilled. Enjoyed our 19 year anniversary together. I finished up the latest redwood embroidery. 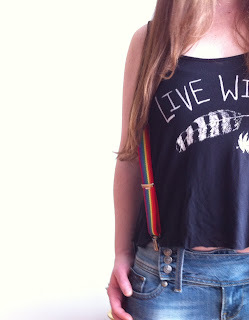 Got the sweetest overall suspenders. Man are those things necessary when you are wearing the wrong jeans! That's all. Hope your days are just as wonderful. Oh and our black beans and sunflowers among lots of others are sprouting. We were a little eager and may have budded them too early. What can we say its our first garden in our own backyard so we are jumping the gun. p.s. I can't organize my photos because I have lost all ability to do things technical.